This year, at the company’s OpenWorld user conference in San Francisco, Oracle unleashed a slew of product announcements, and an attack on a new rival: Amazon.com. The new products included an upgrade of its core relational database software. But the arena of cloud computing, Oracle’s new growth engine, was the big focus of all its announcements, and therefore so was the leading cloud infrastructure company, Amazon Web Services. 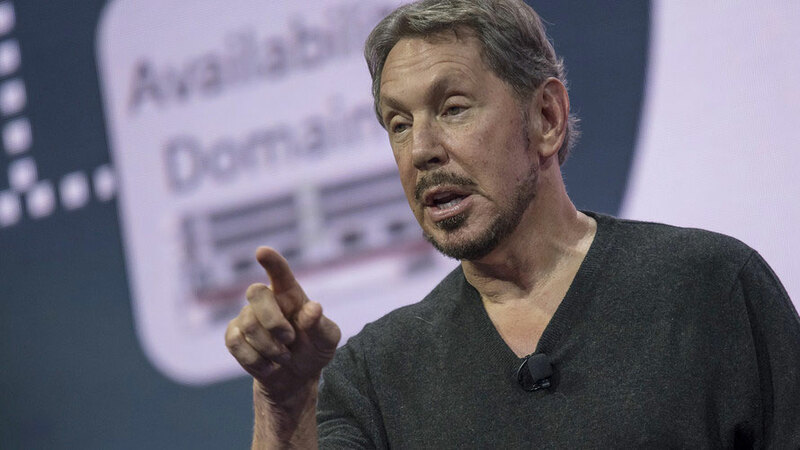 On Sunday, in his opening keynote, Ellison, now the company’s executive chairman and chief technology officer, set his sights on Amazon, saying that Oracle ORCL, +0.56% will become tough competition for Amazon in the cloud, with lower prices and faster technology. In a second keynote and demo on Tuesday afternoon, Ellison went even further, disparaging some of Amazon’s software applications offered by AWS, the closed nature of their applications and their shortfalls compared to Oracle. “AWS is more closed than an IBM mainframe,” Ellison said. “People are saying that is ridiculous. How can that be,” he said, adding that when IBM’s mainframes were the dominant computing power, companies like Amdahl and Fujitsu developed IBM mainframe clones that you could run your workload on. Ellison also backed his hyperbole with some prices and other data. He said Oracle’s recently released Exadata Express costs customers $175 a month, compared with Amazon’s database offering, Aurora, at $245 a month, versus Oracle’s own database running on AWS at $327 a month. Oracle has a long way to go before it can get close to Amazon AMZN, +0.25% in the cloud. A report by Forrester Research earlier this summer placed Amazon’s AWS as the leader in public cloud infrastructure, while Oracle placed sixth, behind Microsoft, Salesforce.com, IBM and Alphabet. But anytime Ellison has a new rival to attack, it often leads to mud-slinging among billionaires, as seen in one round of jousting a few years ago at another OpenWorld between Ellison and his former protege, Salesforce.com CEO Marc Benioff. It may all be a bit distracting for investors, but at least Ellison is focused on the right goal. Oracle’s financials continue to reflect a slide in its core database business and far faster growth in the cloud. Oracle clearly wants to attract a new batch of corporate customers, while its older customers appear to be taking their time moving their on-premises software to the cloud. Amazon’s entrenched lead is going to make that a tough battle, no matter how much hype and energy Ellison brings to the fight.